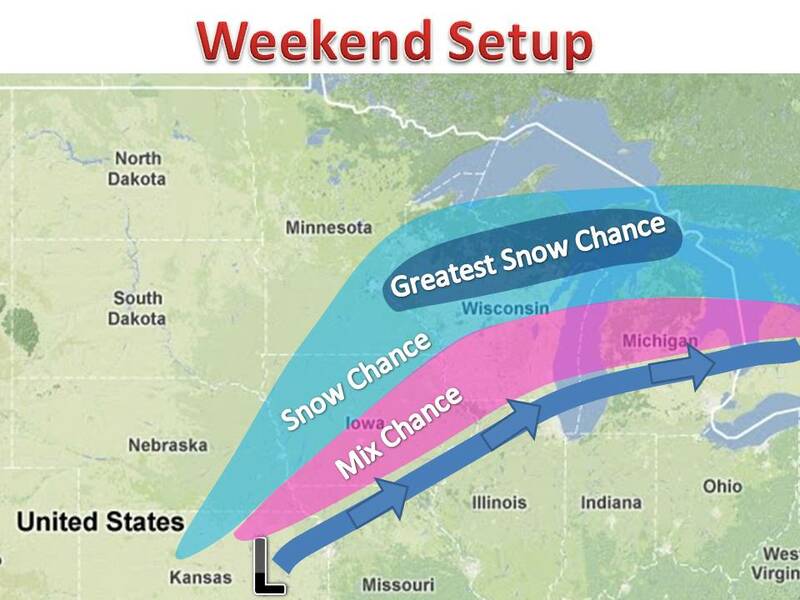 Another, weaker, storm system looks to impact the area this weekend. 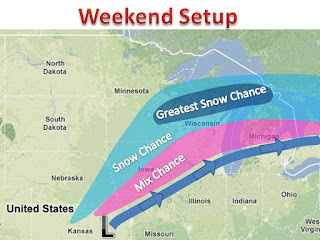 Models are showing decent agreement in the track of the system. However they vary on the amount of cold that will work in. The map on the left shows the odds of seeing snow or a mix. The margin of error is about 50-100 miles north or south of the current situation. We will see how this one plays out. The NAO is around -1, meaning the track makes sense. It is just a matter of cold air available. Those interested in possible amounts...models are showing 3-6" is some areas.